If you weren’t apart of the crowd this past weekend at Brixton’s O2 Academy who came out to see afrobeats artist on the rise Burna boy then you certainly missed a show. On Sunday night thousands gathered in the masses all to come out and celebrate the artist of the moment Burna Boy as he played the 4,000 person capacity venue. 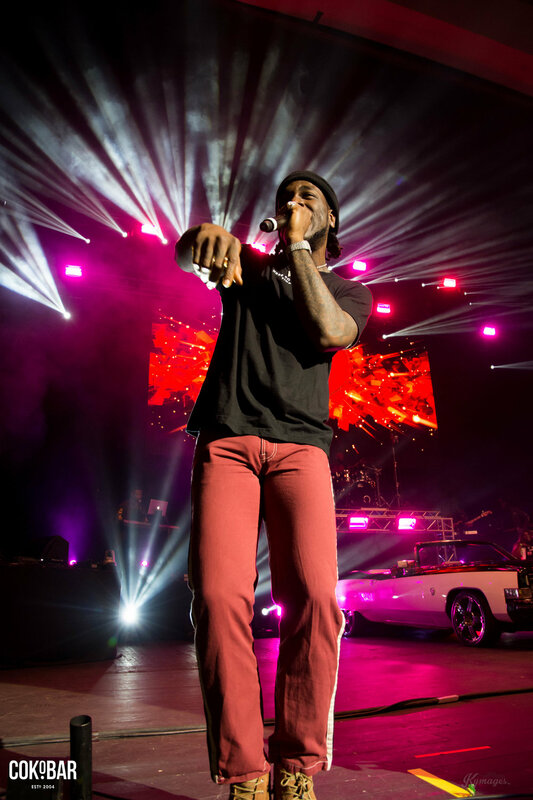 Fresh of the release of his 2018 album Outside which dropped earlier this year, Burna Boy graced his fans with a show that showed why is the artist everybody is talking about at the moment. With a set that included tracks from his latest and previous released that have building over the past couple of year. The crowd was singing along and vibing to every single song on is setlist which included tracks such as Sekkle Down, Giddem, Gwarn, Gba, Don Gorgon, Tonight,, Rizzla, Run My Race, Soke De Ja Vu as well as hit Issa Vibe and more.